In the winter of 2014, I had the privilege of leading a weekly Bible Study with students at St. Peter the Apostle Catholic High School in Spruce Grove, AB, students who wanted to explore one of the Gospels and so deepen their faith. The following posts represent my notes for our discussions during those studies. Unfolding Scripture (Introduction) Part I: What is the Bible and Where did it come from? 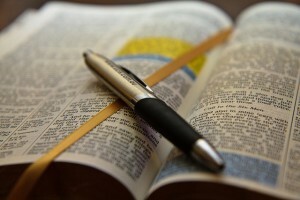 Unfolding Scripture (Introduction) Part II: What does the Church Say about the Bible?